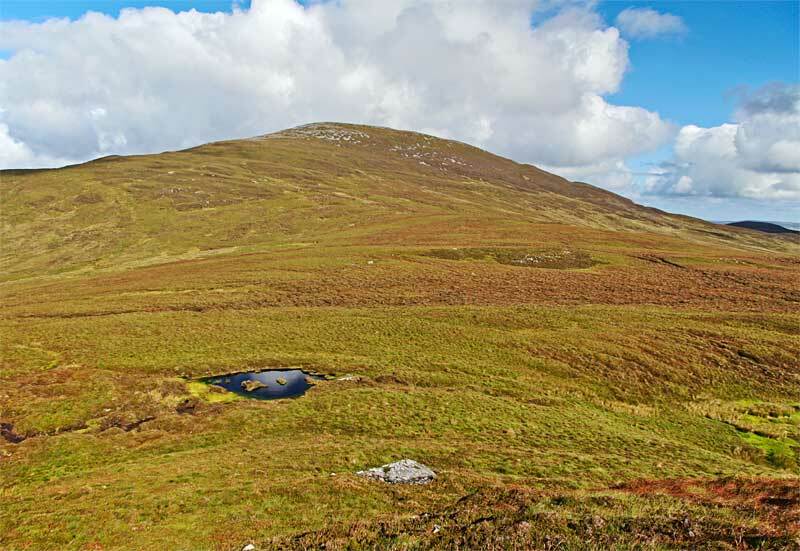 Picture from group : Slieve Snaght from the South. Picture: Slieve Snaght from the South. Boggy footed summit with great sea and mountain views. Various routes are available for this summit, the only Vandeleur-Lynam on the Inishowen peninsula. One place to start is from the unfenced road at around C4426 3722 A. While not an inspiring route due to the wet untracked and vegetated terrain, this has the merit of making it easily possible to also go to Damph. Another eastern route uses the bog road starting at C 450393 B. Or it is possible to start from a bog track to the west at C408423 C. Or from near a derelict cottage at C 392 368 D.